A GeekyMomma's Blog: Why I Deleted Foursquare, and Why You Should, Too! If you know me and my work, you know I'm an advocate for social media and networking. I've long been a champion for sharing and helping others. I can't begin to list all the instances where I've been helped, good fortune has found me, and I've developed deep personal friendships with very smart and engaging people. For a few years, I resisted joining FourSquare (4sq) because I was spooked by stories of people being stalked, houses being robbed, and oversharing, in general. My understanding at the time, was that all checkins were public checkins. I even referred to the service as "FourScare." But, then I realized I was wrong, and you could configure your settings so that ONLY your friends could see your checkins. So I gave it a try. 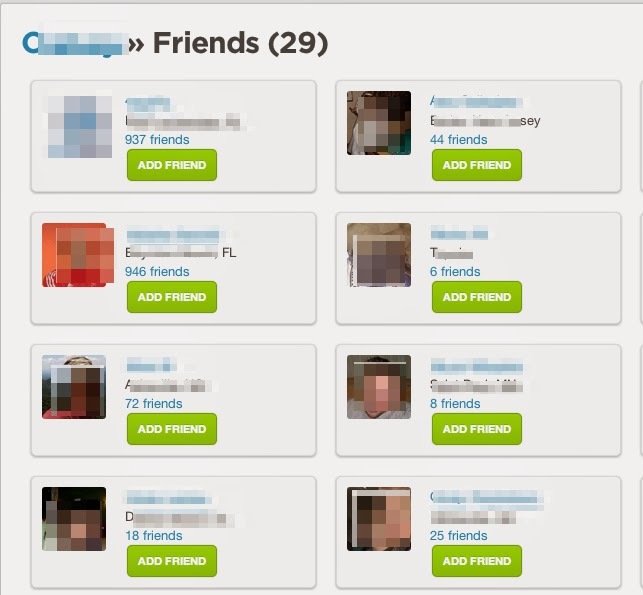 Since I joined 4sq, I've only friended people I know in person and completely trust. I've enjoyed the perks of checking in at local venues and earning free beverages, appetizers, $5.00 off haircuts, and more. Today, however, I will be deleting my 4sq account. 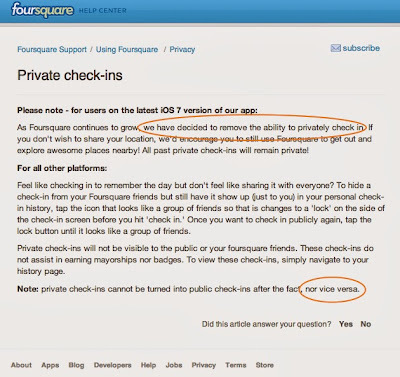 In early December, FourSquare announced that the 4sq iOS 7.0 update removes private check-ins with all previous private check-ins to remain private. 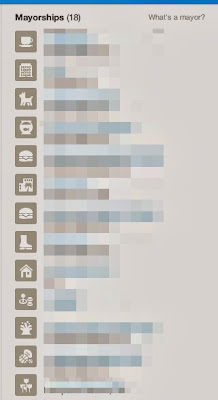 4sq encourages users to use 4sq to discover new places if they don't want to publicly share check-ins. ...and this is why I deleted my FourSquare account. By seeing someone's checkins, you can easily figure out where they spend their time, what time of day they typically frequent certain places, potentially where they work and live. When I lost my one and only mayorship at a local Starbucks to another user, I was curious if I've ever seen this person there, so I did some investigating. 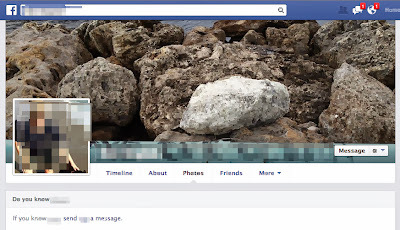 Although this user has a cartoon avatar and screen name (let's say his name is "Cheeky"), I discovered this user's real name and FaceBook profile (with actual photo) by clicking on the FaceBook icon under his name. If I choose, I can look for this person next time I'm in my favorite place and strike up a conversation. If I have a personal interest in this person, I can drop a few comments about our common interests, or even "coincidentally" just "happen to" see this person again in a variety of local places. The rest is yours to imagine. This transparency is not just limited to FourSquare. All public posts (on Twitter, Facebook, Instagram, etc.) are potential stalking avenues. Read The Circle by Dave Eggers, if you want to get creeped out even more. 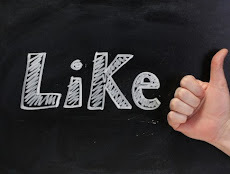 If you look at my personal Facebook page, you will see LOTS of public posts. What you WON'T see are my private posts that are intended only for my friends. I try to stay aware of the intended audience for each of my posts. I posted about FaceBook privacy here. Same for Twitter. 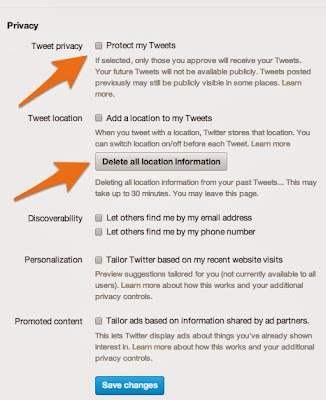 You can control what people see on Twitter, even if your timeline is set to Public. 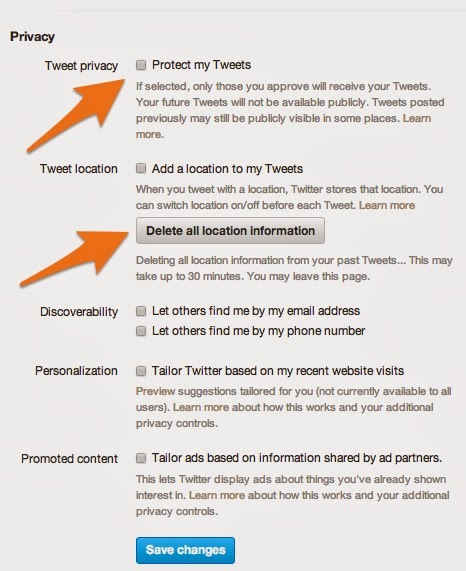 If you previously allowed location information on Twitter, you can delete all location information now. Whether or not that really removes your data from Twitter's database, I doubt. It's something, at least. If the information in this post creeps you out, reconsider what information you share publicly. I deleted my FourSquare account. If I had a foursquare account, I would have deleted it after reading this post. Thanks! 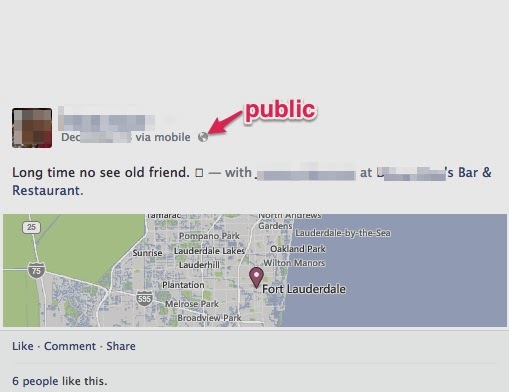 I've used 4sq ONLY with real-life friends, and never "publicly" posted. I also don't connect my Twitter or FB accounts. Thanks for this post, Lee. Your thoughts helped convince me to delete my Foursquare account too. Thank you, Lee. You've scared me to death. We will have lively discussions at the dinner table this week as we work out our internet privacy and security issues. I wonder if 4Sq's revised policy is actually a direct result of how iOS 7 the new location functionality it enables. 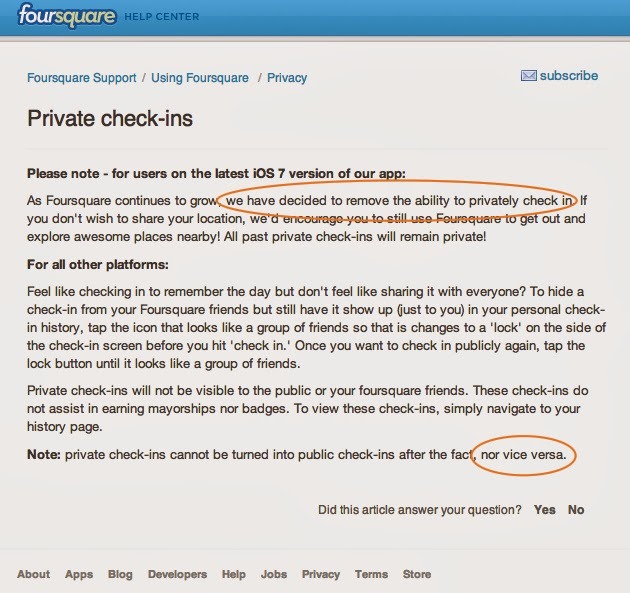 I still have an option to keep my 4Sq check-ins private on my 4th gen iTouch, my Windows Phone and my Android phone. None of those devices can use iBeacon or the location-aware tech bundled into iOS7. Thank you to everyone who commented. I can tell this post struck a chord with many SM users. @Scott: Thanks for that link. I found it interesting and alarming at the same time. @Wes: Your post provides excellent insight from another point of view. @Rob: Thanks for letting me know that this was part of your dinnertime conversation. Unfortunately, lots of people don't have those anymore. @Topgold: I think you may be right. The post from 4SQ indicates that it is only with IOS 7 devices. Hi! 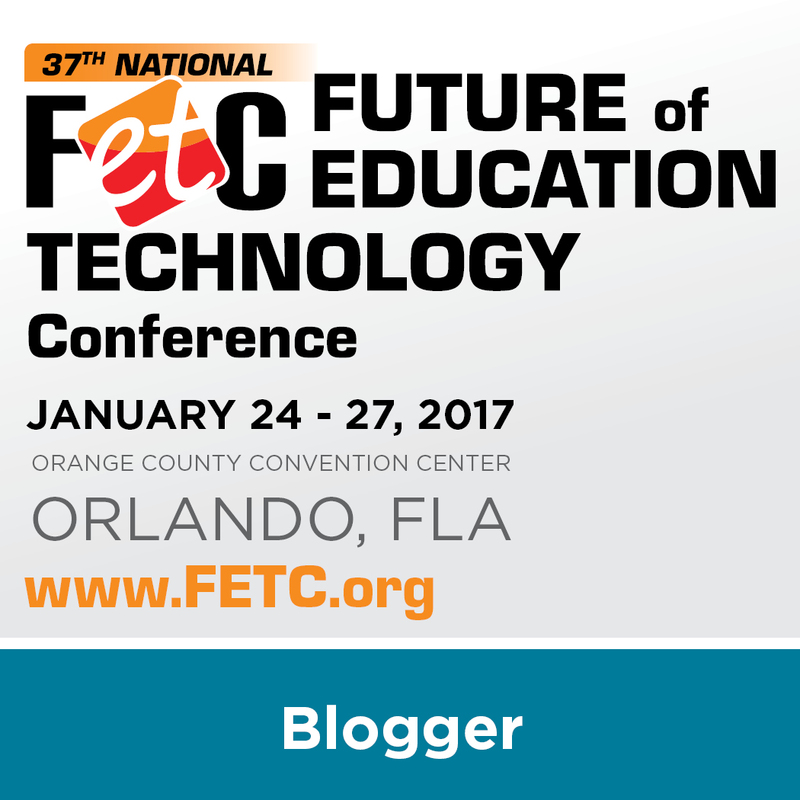 My name is Brian McGhee and I've been assigned by my college instructor to follow your blog and leave comments as instructed. Also, I will be posting a summary of my comments for you to my blog on February 9th. Let me start off by commenting on the excellent aesthetic appeal of your blog. It looks Great! What you wrote about Foursquare is quite eye-opening. 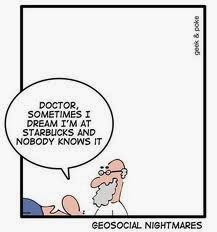 I do not personally have a foursquare account, but I do have many other similar social media accounts. I have often wondered if my privacy is being protected well enough on those sites. My name is Jennah Medlin and I am enrolled in the University of South Alabama as an elementary education major. We are currently learning the pros of social media and technology in the classroom. It is refreshing to see someone point out the very dangerous cons that social media use can pose. It is a great way to teach not only students but also adults about internet safety. 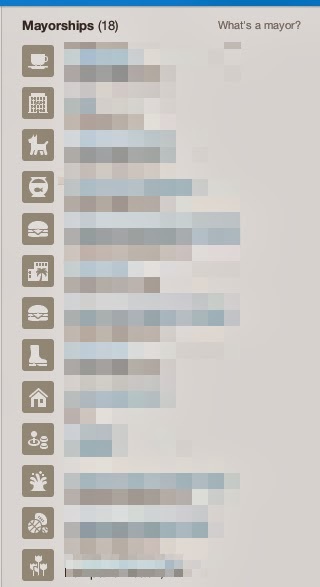 I definitely think it is time to delete my FourSquare, though. Thank you for the tips. 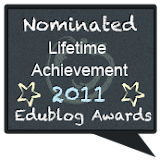 If you would like to check out my blog, you can at http://medlinjennahedm310.blogspot.com or follow me on Twitter at @jmed93. My name is Ramsey and I am a student in EDM 510 at the University of South Alabama. I've had my doubts about posting anything on the internet that identifies my location and have always tried to turn that feature off. After seeing what you did with the little information you had, I can only imagine what a real criminal might have done with that same information. So, I commend you on deleting your foursquare account (although I hadn't heard of foursquare prior to reading your blog post) and I hope all that have read your post has learned something. There are a lot of people using the internet as a social hangout or just to discover new pieces of information. On the other hand, there are criminals out there who've had their job become a lot easier because some people are giving them exactly what they want. All they have to do is just sit and wait. So, I say to all of the social media users out there: Be careful, Don't Be a Victim! I, too, have been assigned by my college professor to follow your blog, and up until reading this post, wasn't familiar with 4sq, but now will be alerted not to download the app. 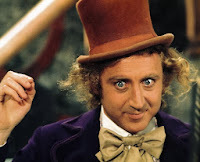 I will, however, keep your blog in my feed as I find your topics interesting to follow. Thank you for your attention to detail and your visually appealing site. Thank you for sharing this post! I have never been a foursquare user; however, I do have a Twitter and Facebook account. Having all of your locations and activities posted publicly seems like a huge risk to take. As an educator this is something I will most certainly share with my future tech savvy students! How do I remove my account in FourSquare? Thank you for sharing. I don't see where to delete mine. Hi Lee. 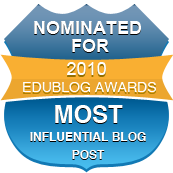 I am a student taking a technology course for education majors called EDM 310. After reading your post, I will never create a FourSquare account. I keep all my social media accounts private. It is essential to remember that although social media is a wonderful tool, it is dangerous at the same time. As a future teacher who plans to use technology in my classroom, I will be sure to teach my student of these dangers. Thanks for sharing!